If you handle apartment management, you realize the importance of choosing a good tenant. The goal list is probably someone who pays their rent on time, doesn’t participate in negative domestic issues. and who respects your property. So, how can you be certain you will find tenants who meet this criteria? While you can never be 100% sure of a successful choice, you CAN put practices in place that maximizes the chance of renting to a high quality tenant. DO have a set process in place. You need to decide ahead of time what criteria you will use to choose your tenant. Are you going to run a tenant credit check? Then plan on running it for every single potential tenant. Having a set process in place makes it consistent and fair, and will yield positive results. DO check the potential tenant’s employment. As much as we wish it did, money doesn’t fall from the sky. Steady employment is one of the best indicators that you will receive you rent check on time. Ideally, you should verify 3 years’ of employment history, including dates worked, and wage. At the least, ask for 4 recent pay stubs. DO order and review the renter’s credit report. A tenant credit check will give you insight into a person’s spending habits and financial responsibility. Look at how much debt they carry, and how many late payments they have acquired. If they are too deeply in debt or pay their bills late (or not at all) you may want to move on to another candidate. DO check their criminal history. It is imperative to protect your other tenants from dangerous criminals- as well as to protect yourself against negligent lawsuits- to screen a potential tenant’s criminal history. Your tenant screening process should include a county criminal search in the county they live, and check for convictions over the last 7 years. As stated earlier, you should decide up front on the types of convictions that will result in a tenant not being able to rent from you. DO follow rules to maintain compliance. Make certain if you are running a tenant background check, you are maintaining compliance. This includes getting the person’s consent to run credit, criminal history, employment, or other checks. You also need to let a person know if you choose not to rent to him because of something you find during the tenant screening process. 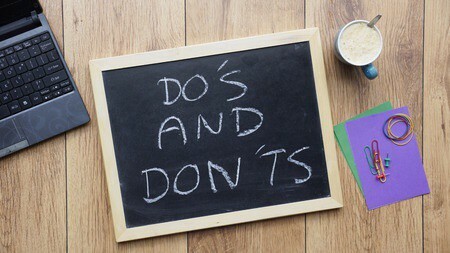 Just as there are important DO’s in a successful tenant screening process, there are also some big DONT’s. These are actions which could damage your chances of choosing a good tenant, and could even get you sued. DONT go with your gut. If you meet someone who SEEMS nice and respectable, don’t give them a pass on your screening process. Many con artists and thieves are polite and attractive. Going with your gut can set you up for a bad tenant, and, if the tenant ends up being dangerous, could result in litigation with you as the defending party. DONT go with your heart. As with your gut, keep your emotions out of the decision. If you catch yourself even remotely thinking “Well, all they need is for someone to give them a break” you are venturing out of apartment management job and into philanthropy. Opt for a tenant based on concrete information, not a sad story. Choosing who you will be your renter is a big decision. Don’t make it lightly. By investing a small amount of time into the tenant screening process and researching the decision, you can increase the chance of finding a tenant who will pay on time and take care of your property. This will allow you fewer headaches and a lower stress level, which sounds good any way you slice it!